Distinct appearance and tropical taste. Small- to medium-sized white strawberries are aromatic and flavorful, with a taste similar to pineapple. Use alongside red varieties as groundcover or border plants for landscape interest with an edible-fruit bonus. Everbearing. Ripens in spring, and continues to fruit until first frost. Partially self-pollinating. Plant another strawberry variety to improve fruit production. Ripens/Harvest Spring Until Frost. Everbearing. When your plant matures, it will be approximately 8 - 12" tall x 10 - 18" wide. We recommend spacing these plants 18 - 24" apart to ensure room for growth. My husband really wants to taste these! Just to have something different in my ozark beauty patch. This is rare to me, seems exotic. I'm trying to figure out what to grow in the desert and know that I love strawberries and they keep coming back year after year. So, this is what I'm going to load up on. I like that they can grow in full shade. I had read about these and was curious to give them a try! I liked the coloring mostly, but I'm not a big fan of strawberries in general so a strawberry that tasted like a pineapple (or pear as someone said in their review) sounded perfect for me. I am looking forward to trying these. They are going in the top tier of my strawberry pyramid! I was fascinated by the idea of pineapple flavored strawberries.These look like they will be tasty and I thought it would compliment my tribute strawberries quite well. Looking forward to the first berries! It's unique and I wanted to try it. I was genuinely curious about the pineapple and apricot flavored tastes that's gaining popularity in Europe. Since its a rare strawberry variation buying Pineberry plants directly is better than playing the lottery with the seeds and hoping that at least one seed would be a pineberry. My Daughter saw this and was amused. She asked me to buy it. I saw this growing in my Dentists yard and admired it so much!! Something new wanted to try. Should strawberry plant produce this year? BEST ANSWER: I bought a single plant in March 2015 and planted it in Missouri zone 6 along side 25 June bearing strawberries (same patch). The June bearing produced but I did not get a single Pineberry strawberry. I thought I would get some production but I got nothing. Since my other strawberries were grown in the same bed and planted at the same time they served as sort of a positive control, so to speak. The pineberry did great through the winter and I am VERY hopeful that I get to try them summer 2016. Either it just doesn't produce the first year OR I need more than one plant, not sure if it is one or the other or both. I didn't get any fruit the first year, but the plants grew like crazy and spread a ton. I'm very excited to get lots of fruit this year. Also I usually pop the flowers off of strawberry plants the first year to force their energy into the plants. Don't remember if I did that with the pineberry though. Since they make so many runners, I might consider cutting them off the first year to let the plant concentrate on fruit production, Also make sure that the fertilizer is correctly balance for fruiting, as opposed to leaf growth. (Medium Nitrogen and Phosphorus and high potassium). Depends on if you got blossoms last year and if you pinched them off? I planted mine later than I would have liked last season and I did not see any blossoms. I plan on waiting another season on them. They do produce the same year as planted. It is best to pick the blossoms and allow the plant to grow a year prior to bearing fruit though. I actually got a few berries the first year, but best news was the 2 plants sent out a LOT of runners and established new plants! I got mine last year and did not get any strawberries. I hope to, and should get some this year. Should I cover strawberries during winter? BEST ANSWER: In zone 5 I cover my strawberries with 6-8 inches of leaves, It keeps them from heaving out of the ground if there is a warm period in the winter that lets the ground thaw and re-freeze. Mine wintered over without being covered and were OK in the spring. I live in zone 6a but we also had a mild winter. I didn't last year and they did very well this year! When do they start flowering? Mine is still young. Planted close to a month already. send out feelers to start new plants but did not get flowers and fruit until this year. I don't know where you live but I live in Pennsylvania so maybe that was part of the reason, cooler here. I do have them this year and am waiting on them to get ripe! We planted ours last year in late spring so they did not blossom then. This year they blossomed about the middle of May and are now producing some berries. Hi. Ours was planted last year and we had 2 berries. Maybe next year? How soon can these planted? Would I want to wait until closer to May to get them in the ground? BEST ANSWER: Our WP Strawberries are already growing in this weather from last year, so they are rather tough. You can plant them any time, as long as they are not gong to be planted on an unprotected slope facing north, (in which case, wait 'til May.) Give them a "chill down" by putting them in the garage overnight and then setting them outside with protection like wrapping the pot in a towel and place them in a sunny spot for a few days. Once you plant them, be sure to cover them with a nice fluffy mulch. 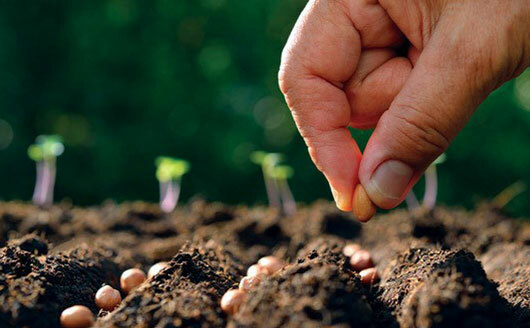 Make sure the soil where you want to plant them is workable and not soggy. The tops may show transplant stress, (ours did,) and appear to die off, but the roots will still be ready to grow once they get settled in. Think of your planting time as a range of favorable conditions instead of an exact time. For example, you can plant new plants and trees: 1) when the ground is not frozen, 2) when daytime temperatures are above freezing (32? ?F) and below 90? ?F, and 3) when extreme weather (blizzard, hail, torrential rain, etc.) is not in the forecast. I live in Michigan and i planted these plants in early April. I made sure to protect them when the temps were forecast below 32 degrees. The plants seemed to thrive and produced fruit and lots of runners the first season. I would plant them during the same timeframe as any other strawberry. Just beware that they produce runners. BEST ANSWER: Yes, they do. I planted mine a couple years ago and they never produced fruit. They are in a bed with other varieties of strawberries which have produced a good crop; not sure why these didn???t. But, to answer your question, yes there are lots of runners. Yes they do. They seem to produce more runners than my normal red strawberries. Yes. I had runners that were about 2ft from the original plant. Yes, they produce lots of runners. Hello was just wondering if they were already bloomed or do I have to plant them? BEST ANSWER: You have to plant them. They do not come in a pot and are shipped bare root. It will take a year or so before you get any fruit. Nit sute about what you mean by already bloomed but they are nice healthy plants. Mine did not make berries this year though. Hope they do now. They did multiply a lot. Dose this plant grow runners like regular strawberry plants? 4 foot wide and just those3 plants filled in that large of a space. I think they fill in thicker than regular strawberries. Yes they have runners and are a little larger then most strawberry plants. I got one of these last year and while i had about 5 berries last year, this year I have a ridiculous amount. However, I have noticed something. The ripe berry on mine is not white. It is a dark pinkish red. The berries start out white with pinkish seeds and then darken. Is this typical? BEST ANSWER: Mine do the same thing. Whether that is typical or not I can't say for sure, but it now seems likely. I don't know if it is typical, but mine were like that too. Are the Pineberries self pollinating? BEST ANSWER: They are partially-self fertile. Planting another strawberry variety nearby will give you lots of pineberries and red strawberries as well. I live in zone 6 and have planted pineberries last year with no production. They are thriving this year,but I am not sure when to pick them. Any ideas? BEST ANSWER: They're ready to pick when the outside is white (no green tinge) and the seeds are red. Can these plants be grown indoors in a pot? BEST ANSWER: Probably not. You would need the correct temperatures and especially a very strong light source. When blooming, I would hand-pollinate as you probably don't have enough insects in the house to pollinate. How will pineberrys do in vertical towers in Aquaponics? BEST ANSWER: I'll let one of our customers answer your question: "I planted six different strawberry varieties from 4 different suppliers for an outdoor hydroponics garden in Central Illinois including Sparkle Strawberries and I had strawberries on all varieties in about 6 weeks. Not sure how they would do in dirt. Not sure why most folks don't have hydroponic gardens. Plants grow big and fast." Sorry for the stupid question, I'm new to this stuff. What's the difference between the 4" plot and the 1 gallon container? Obviously the 1 gallon comes with more, but how many plants is that? BEST ANSWER: Thank you for your question. It's not stupid at all. The difference is the root system; the number of plants is the same in each pot. A 4" pot will have a small root system and won't produce a great deal of fruit when it starts bearing. A 1-gallon Pineberry Strawberry will have a very well-developed root system, which means it will transplant better, adapt to its new home more quickly and bear much more fruit after a year (with proper care, of course). In short: The bigger the pot, the less time you have to wait! Disappointed in the plant received. If it grew as many berries as runners would be a fantastic producer. Few berrys and constantly fighting off spreading runners to other parts of the berry patch. If this is typical performance do not recommend. I planted 2 last year, which multiplied to at least 30 this year. But the berries were quite small (dime sized), soft, and only ok in taste. I can't believe how many berries we got in the second season of planting it. Grows real fast. My kids absolutely love them. My 5yr old daughter said "They taste like pears", and I have to agree with her. Make sure you put a fence around it, rabbits like them too. Thanks Stark Bros for the fun fruit! I received mine in late June of this year and have already harvested 2 berries, it has grown quite a bit, and is full of blossoms! Very happy with them so far!! They grow so well that soon I'll get out of space. No fruit in year one but they came back strong with lots of blossoms this spring. Looking hopeful! These were very pretty... the birds ate them last year before I could... but I have netting this year, so I am hopeful. Even though I planted numerous plants I experienced a 30% plant survival. I plan on relocating to a full sun location this Fall to increase my production. I'm Happy with those plants that survived but need better production. I experienced the same thing with Rhubarb; changed location to another area and now am giving Rhubarb away! These berries are so different and tasty. Would definitely recommend! This plant is doing about the same as last year but it does have flowers this year and waiting on fruit which will probably be small as the plant is small yet. I ordered another one for proper pollination. Not entirely sure why they are so expensive unless it's quite a rare item considering they faced extinction 15 years ago. Good, hardy plants. Enjoyed some berries from them in the first growing season. Not a very pronounced pineapple flavor. We brought these inside for the winter in our 4-B zone, but they still didn't make it. Never got any from these. They died in the first season. Planted last fall, have baby berries, waiting for them to ripen. Zone 6b. Unique berries, tasty but did not produce much fruit. I planted this last year, I had 1 berry off of it last year and it tasted great, the plant is large this year but no blooms thus far. I would have loved more than 1 berry. It did not survive. It was planted in a sunny location, watered daily during the drought, and kept weed free. It grew well for about a month, then died. Little buddy died before I got any fruit. Maybe my thumbs aren't green enough. Seem to be a hardy plant. I always plant something different ever year. These plants came in great condition and went into the garden very well and sent runners quickly. Unfortunately I transplanted them in fall and they did survive the winter. Plants arrived in unhealthy condition thanks to shipping delays by shipping company. Plants died after being put into the garden.